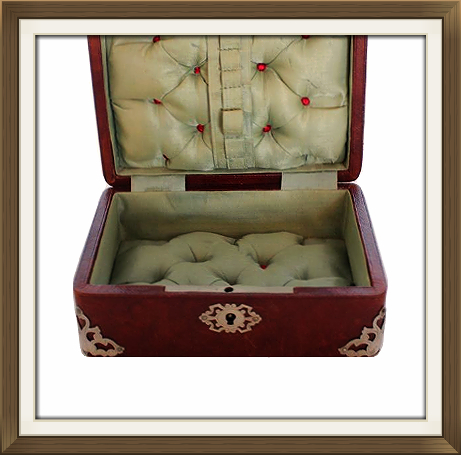 This is a beautiful antique jewellery box with a quilted satin interior. 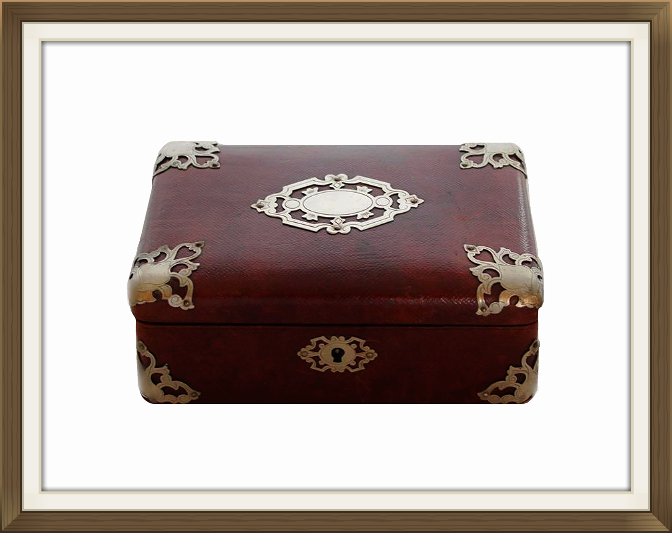 Its exterior is finished with textured leather, and has decorative metal corner protectors. There is a matching metal escutcheon to the lock which has finished the box off beautifully! 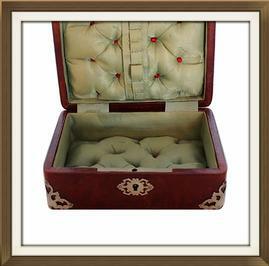 The quilted interior has red silk buttoning, and the panel in the lid has a strip of little pockets. 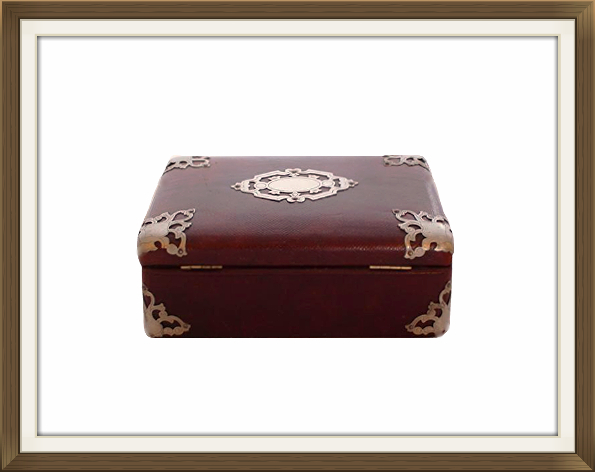 The box was designed for either jewellery or sewing accessories, and the little pockets were for holding threads! 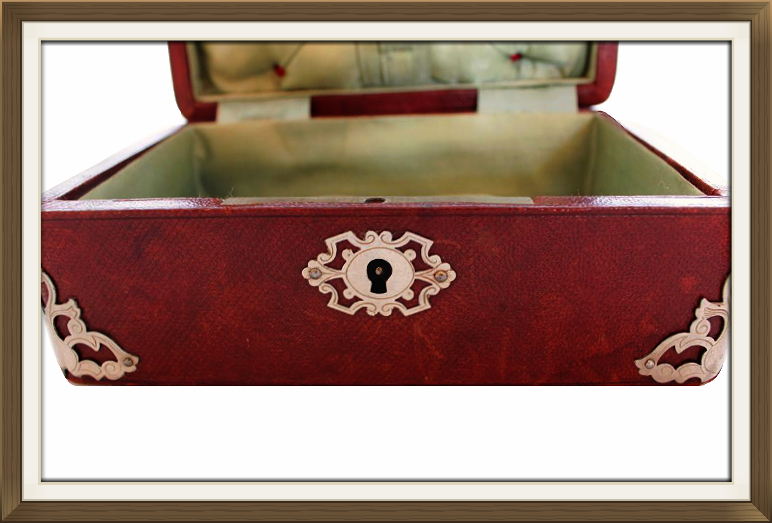 The box is complete with its original working lock and key. 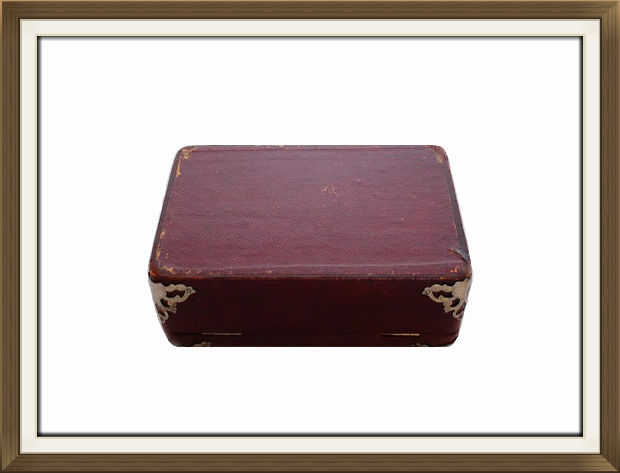 The box is in beautiful antique condition. There is some light wear to the leather and metal protectors, as you'd expect on a box which is 100 plus years of age. The quilting is still in excellent condition! There are no splits or pulls to the satin. There are a few small (pen) marks to the satin inside the lid. The key is marked ENGLISH MAKE, and also has a makers stamp. 15 by 9.7cm with a 4cm depth.